Might Kim actually want to cut a deal? For nearly 70 years, nothing has interrupted North Korea’s fierce and often savage belligerence towards the South and its superpower ally, the United States. Now President Donald Trump has spontaneously accepted an invitation to meet his North Korean counterpart, probably in May, and probably on the 38th parallel that separates the two Koreas. Trump was reportedly so excited that he was prepared to let the South Korean official who had delivered the invitation make the public announcement from the White House—until the protocol police intervened. Late last year, the president was prepared to humiliate his secretary of state by tweeting that floating the possibility of unconditional discussions about denuclearisation (as Rex Tillerson had done) was a ‘waste of time’. The invitation from Kim Jong-un was indisputably juicy: he explicitly declared that North Korea’s denuclearisation would be on the table; he promised that there would be no North Korean nuclear or missile tests in the lead-up to or during the summit; and he volunteered that he ‘understood’ that the US and South Korea would not suspend their regular military exercises. Kim really wanted a ‘yes’. Much of the administration, not to mention the wider ‘swamp’ in Washington DC, was aghast. That alone may well explain a larger part of President Trump’s motivation than anyone dares to openly acknowledge—and represents a skilful piece of long-distance character assessment on the part of Pyongyang. Even China, North Korea’s de facto father and formal ally—which has for decades hovered serenely around the edges of this ugly issue urging a peaceful solution—was distressed at the prospect of being excluded from a primary channel of communication, as well as from a North–South summit being planned for the lead-up to the Trump–Kim event. 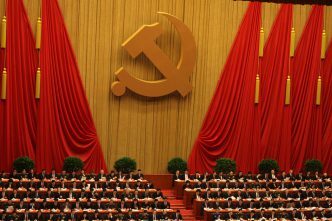 China promptly offered to host the major summit in Beijing, seemingly without receiving a response. Some older hands have chosen to stress that there are good reasons why international summit meetings are mostly held in reserve during difficult and consequential negotiations. They’re a special diplomatic tool that can serve as an incentive to complete an agreement, or be deployed when agreement is close but can’t quite be reached on a couple of core issues. These analysts point out that North Korean denuclearisation is a complex, multi-faceted undertaking that, even in the best of circumstances, will take many years to accomplish. The two sides have twice taken a pretty serious look at what would be involved: in 1993–1994 and in 2005–2006. The contention that a single summit could deliver the sort of broad and in-depth agreement needed to sustain the follow-on negotiations is considered a pipe dream. One might imagine a leaders’ agreement to meet again as and when the negotiations require, plus a hotline to cope with lesser stumbling blocks. But many still consider that a needlessly high-risk approach. Probably the bigger question is why Kim Jung-un was prepared to say that he’s willing to give up his nuclear weapon and long-range ballistic missile program, a capability that he has positioned as utterly central to North Korea’s long-term future and something that has cost North Korea dearly in successively harsher sanctions regimes. A cynical response has been that Kim will simply capitalise on Trump’s ‘engagement’ with him, including when Kim’s conditions force Trump to be the one to declare ‘no deal’. But might there be another motive in play—that Kim has been manoeuvring to maximise his negotiating leverage and judges that he’s now in the strongest position to get a good deal for North Korea’s long-term future? 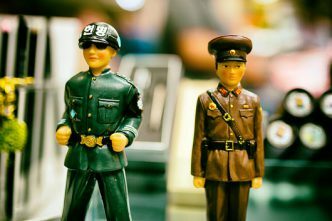 We know quite a bit about what North Korea values: a peace treaty to replace the 1953 armistice; security assurances, probably from all three major powers—the US, China and Russia; regional recognition and acceptance, including through diplomatic relationships; long-term economic and technological assistance, probably including nuclear power plants; and taking appropriate care at all times to portray the DPRK as fully comparable to South Korea. There are several factors that converge to suggest that this is North Korea’s game. 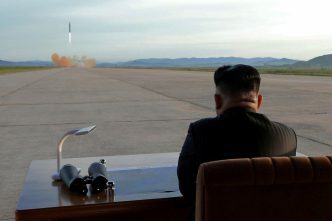 First, North Korea has yet to close an important technological gap—the ability to develop a reliable re-entry vehicle to take its nuclear warheads from space, through the heat and turbulence of the atmosphere, and over their targets before detonating. 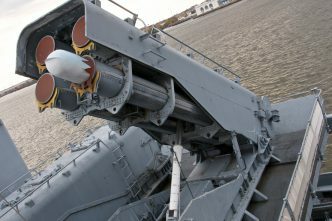 Demonstrating mastery of this last piece of the technological puzzle could be fraught with risk, just the sort of shock that might compel a US president to authorise a surgical strike on key components of the North’s nuclear infrastructure. Whether Trump is seen as a particularly dangerous president from this standpoint is an open question. 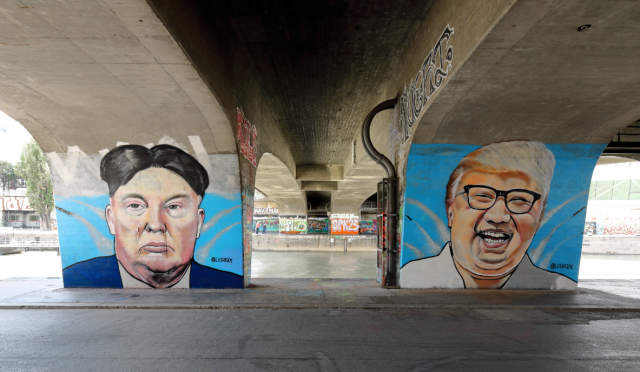 Second, it’s thought that the most recent sanctions have hit particularly hard, offering North Korea a realistic picture of an indefinite future of limited options and close dependence on China. Third, there are several China-related considerations that can be added to this mix. China has often taken declaratory positions against Pyongyang’s nuclear program but shied away from any actions that might actually impede that program. That has begun to change, with China implementing some of the harsher recent sanctions. In a related shift in late 2017, China appears to have responded to US overtures to discuss how American and Chinese forces could avoid running into one another if military action were taken against North Korea’s nuclear capabilities. China had resisted engaging in such discussions for a number of years. These straws in the wind could suggest that Beijing has concluded that its long-standing posture of disguised tolerance of the North’s progress toward a nuclear capability has been a mistake. Finally, if Kim is indeed truly interested in cutting a deal, his bold proposal offers the possibility that the channel to the US will be the pre-eminent one in the ensuing negotiations and help to diminish China’s ability—because of history, proximity and sheer strategic weight—to dominate the outcome. There’s enough here to suggest an intriguing possibility, but it’s still very hard to see it as a probability. Ron Huisken is an adjunct associate professor at the ANU’s Strategic & Defence Studies Centre. Image courtesy of Bwag via Wikimedia Commons.